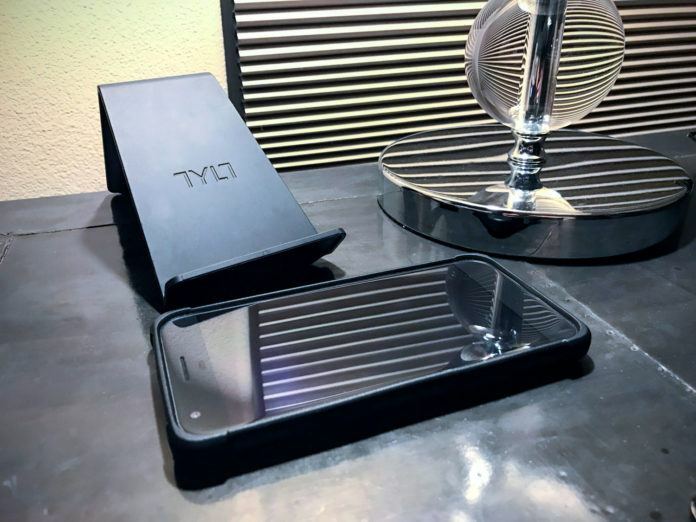 Tylt Vu Wireless Charger – It Works, Looks Good and I Want More Than One. Once you go wireless, you never go back. It’s only true once you’ve had the opportunity to own a smartphone with wireless charging capability. I’ve been looking forward to writing about the Tylt Vu Wireless Charger because I can’t say enough good things about it. Out of all of the wireless chargers to exist out there today, it’s one of my favorites. 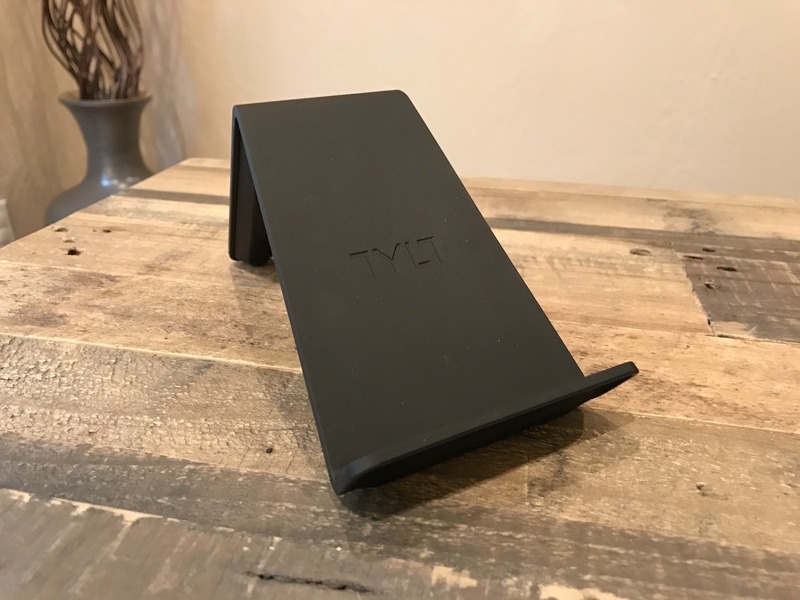 While I will be covering a complete list of the 10 Best Wireless Chargers for SmartPhones, there are a few such as the Tylt that deserve a designated seat under the spotlight. Wireless Charging – It’s Becoming Popular, but isn’t Everywhere Yet. If you aren’t already familiar with wireless charging, that’s ok. Let’s cover some of the basics first. There are more and more smartphones out there packing in the Qi-Standards for Wireless Charging, making it so that you can free yourself from cables all together. While, not all phones do support wireless charging, (and we can’t assume if or when it will officially become the “norm” for every phone) there is usually a Qi-Charging adapter that can convert any Micro-USB, USB-C, or Lightning port to become compatible with any QI-Enabled wireless charger. If you’re in the market for a wireless charger, chances are, you’re holding a smartphone which is capable. Or, maybe you are looking for a new smartphone and are wondering what life would be like with wireless chargers before upgrading your device? If I haven’t figured you out thus far, then maybe as previously mentioned, (and if you’re phone isn’t already capable) you should look into Qi-Wireless charging adapters. 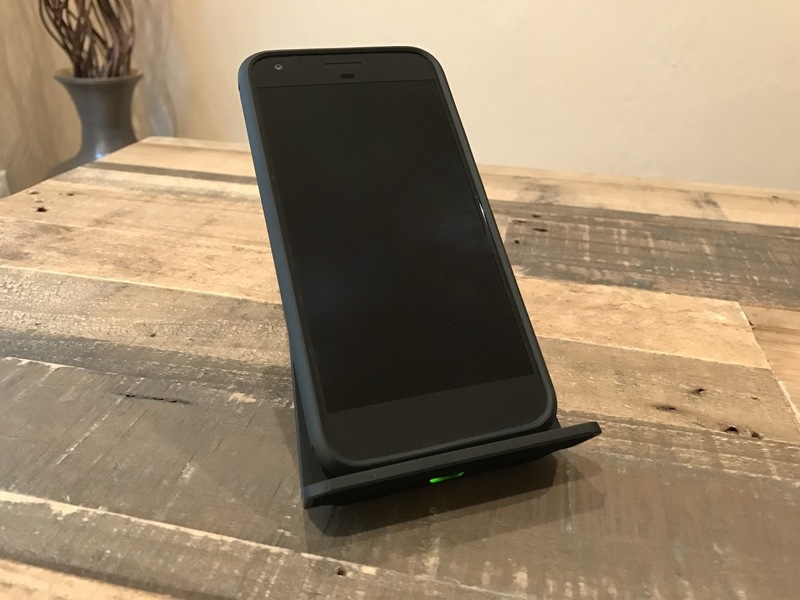 If you’ve managed to stumble upon this post and are holding onto a new Google Pixel XL, be sure to check out my specific solution on getting your Google Pixel XL Charging Wirelessly. The great thing about wireless charging, is that you will no longer find yourself crawling around on the ground like a toddler to fetch the other end of charging cable. A wireless charger, sits nicely, right where you last left it. Making it easy, to not even think about plopping your phone right on top of that fancy piece of technology. Then, you get to let those invisible power waves juice up your phone! Here’s the thing – not all wireless chargers are built the same. Many of the smaller wireless chargers will only have 1 charging coil built into them. Partly due to the lack of surface area in such a small device. Even if it’s possible to slightly stack and offset coils within a product, you won’t find “quality coil configurations” in too many alternatives. The Tylt Vu, packs in 3 Qi Charging Coils, with 1 AMP Output of Charging power. The triple coil configuration, is one of the stand-out (but nicely hidden) features of a Tylt wireless charger! Because of the 3 coils spread within the Tylt Vu, you can place your phone at just about any position on the base (portrait and landscape) without having to critique your phones placement, unlike many other wireless chargers out there. This my friends, is what really defines a “user-friendly” wireless charger. I really like how the Tylt Vu looks more like a stand, rather than a coaster you set a glass on. It just makes more sense to me in this configuration. 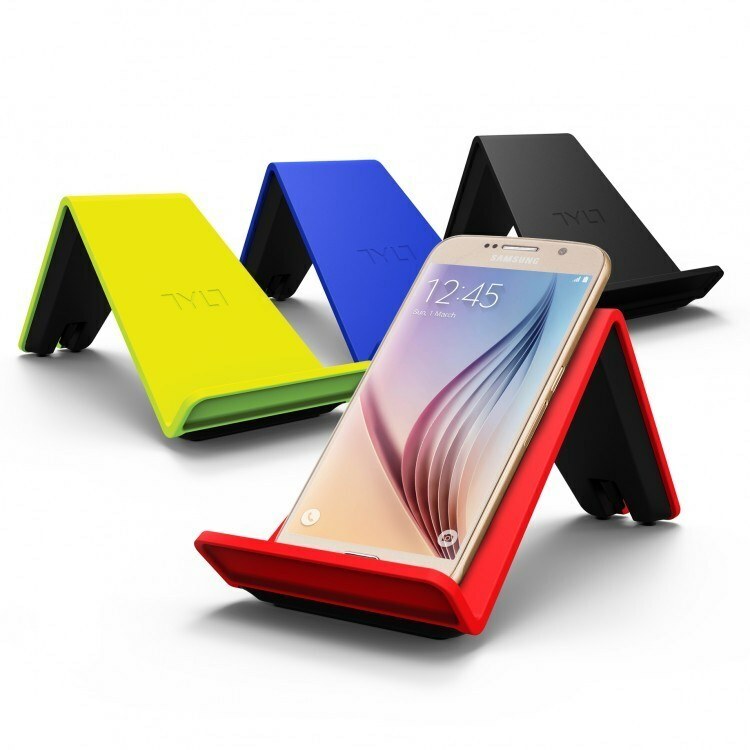 While flat/coaster style wireless chargers have their place in this world, I find that the Tylt Vu’s angular design, is more useful in most scenarios. Especially if your phone has any type of screen-saver, or day-dream type functions built in. The Tylt Vu, makes it easy to enjoy those features while the phone is charging. The construction of the Tylt Vu, is very solid. It’s not too heavy, but it’s weighted enough to flex it’s high-quality plastic muscles, making you feel good about your purchase. The weight, while just right, helps to keep itself in position while, let’s say, sitting on top of your nightstand, or even on your office desk. The Tylt Vu Wireless Charger, is powered not by USB, but with it’s own supplied 120V AC-DC power adapter. The adapter utilizes a barrel type plug that when inserted, stays in place and out of the way at the back. No complaints here! When your phone is charging, a discreet LED will light up at the base of the charger to show you that it’s charging or to indicate when your phone is full. Saving you from needlessly checking your phone’s display for a charge status! You can choose from 4 color options which are Black, Blue, Green and Red. If you’re into accent colors, I suggest the green since it really pops. The green, might be more of a yellow-ish green, if you ask me. If you’re wanting something that will pretty much blend in with anything, then you might opt for the black. Every color comes with the same soft-touch finish, which helps to prevent your phone from sliding around while docked and it’s rubber-like texture adds to the overall quality of the product. If you’re in need of a wireless charger, you can’t go wrong with the Tylt Vu. It has an appealing design, is user friendly and is very reliable. Even after many months of use! You won’t be disappointed! The Tylt Vu Wireless Charger is one of the best desktop wireless chargers for QI-Enabled devices. It's a great buy, and has all of the right features we look for in a charger. Next articlePowerBeats3 Go On Sale, for a Limited Time Only!